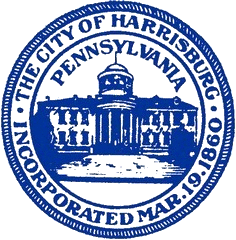 First, locate your property on the Historic District Map and determine whether you are within one of the City’s Historic Districts; the City and Harrisburg Architectural Review Board (HARB) only have purview over Municipal Historic Districts and not National Historic Districts. The City’s historic districts regulations are included in Chapter 7-317 of the Zoning Code. If so, please refer to the documentation under the link to the map for appropriate projects within the historic district; as a general rule, if the project will use in-kind replacements (meaning the material and the design is the same), then such projects can be administratively approved by the Planning Bureau. If not, then a Certificate of Appropriateness application (the application is on the website) must be filed, which is reviewed by HARB; HARB and/or City Council approval is required for the work to commence as proposed.